Athens and Skopje are close to resolving the name issue, the fYROMacedonian Prime Minister Zoran Zaev said today at a press conference in Skopje, on the occasion of of his government’s one-year in office. “We have never been closer to finding a solution to the name issue than we are today, while friendship between the peoples of the two countries is stronger than ever. The agreement confirms the existence of a Macedonian language and shapes the identity, Zoran Zaev noted. He reiterated that the solution to be promoted would be put to a referendum in his country, which he placed near the end of September and early October. 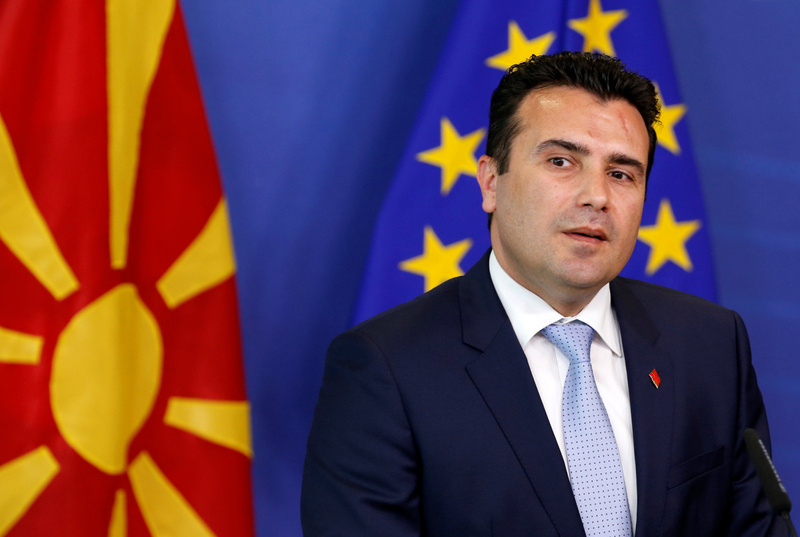 Asked about why the fYROMacedonian parliament should ratify the deal with Greece before the referendum, Zoran Zaev noted that this is necessary for Greece to send a letter to NATO and Skopje to receive an invitation to join the North Atlantic Alliance. Asked to respond to the “Northern Macedonia” name, Zoran Zaev did not want to comment on this, and noted that this is a difficult negotiation, which has not yet been finalised and there is no definitive agreement yet, as its legal aspects are being examined. He announced he will have a conversation with the Greek Prime Minister, who, he said, expects to make a significant step forward. “Today, tomorrow, until Friday there will be a conversation with Alexis Tsipras from whom I expect to make a very important step forward. Once we have something more specific, it will be announced publicly”,Zoran Zaev said.